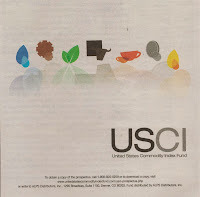 Find United States Commodity Index Fund (USCI), an ETF Investment idea. This exchange traded fund, ETF, invests mainly in six commodity sectors: energy, precious metals, industrial metals, grains, softs, and livestock. Exchange traded fund is popular among investors and traders. With its low cost and diversity of selections, ETF can be used for long term investment vehicle. Recently, you might find an ad about USCI ETF in various financial magazine or news. 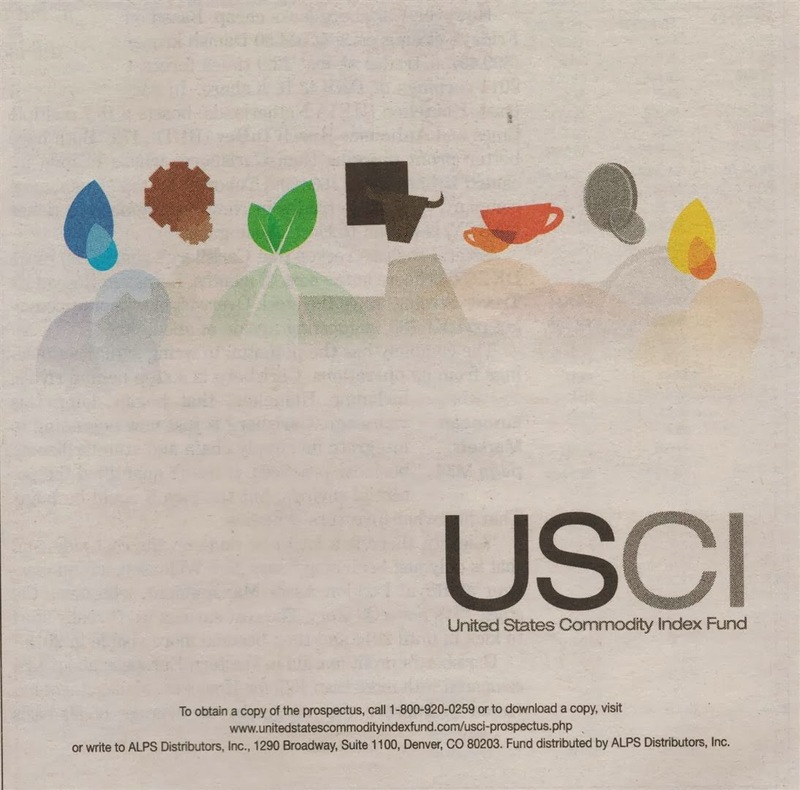 This United States Commodity Index Fund (USCI) is tracking its index and invests in 6 commodity sectors. If you look to invest in your financial or brokerage account, you need to find out the details about this fund. Whether it is for your regular broker or retirement account, being prudent is important during this period of time. ALPS Distributors, Inc., 1290 Broadway, Suite 1100, Denver, CO 80203. Fund distributed by ALPS Distributors, Inc. This United States Commodity Index Fund is in the Commodities Broad Basket category and seeks to replicate, net of expenses, the SummerHaven Dynamic Commodity Index Total Return. The inception date is August 2010 and it has 4-stars rating from Morningstar. The fund has annual expense ratio of 1.15%. It is currently traded at discount -0.03% from its NAV. The CUSIP is 911717106. There is a management fee of 0.95% for investing in this fund. The trading increment is $0.01. It has YTD return of -6.21%. The fund has 1-year annualized return of -6.84% and 3-year annualized return of -3.18%. The 3-years beta risk is 0.87. The current shares price is $55.38. The USCI Fund permits commodity exposure without using a commodity futures account. For the month of November, the Benchmark Component Futures Contracts are Crude Oil, Heating Oil, Lean Hogs, Lead, Cocoa, etc. It has high rating by Morningstar. This ETF is suitable for alternative investing choice. Expense ratio of 1.15% is slightly higher than other low cost ETF offered by Vanguard or iShares.